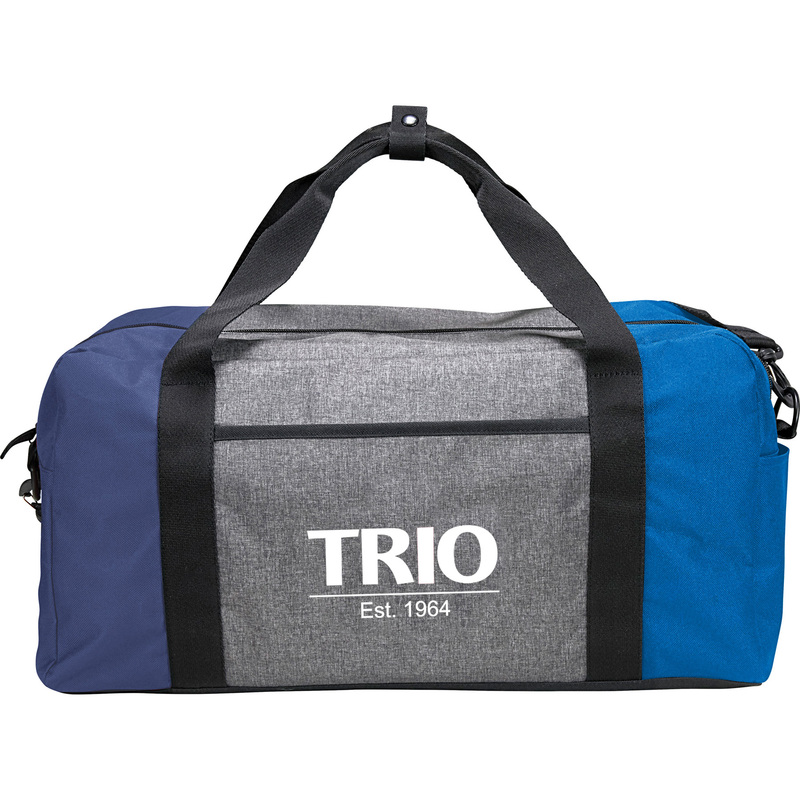 The Triad 19” Sport Duffel is an on-trend color block duffel designed to carry all your essentials. There’s plenty of room for all of your belongings with the main zippered compartment, the graphite front slash pocket and the side hook and loop pocket. The button closure grab handle and adjustable, removable shoulder strap help you carry this duffel with ease. We can decorate with any TRIO or custom artwork.